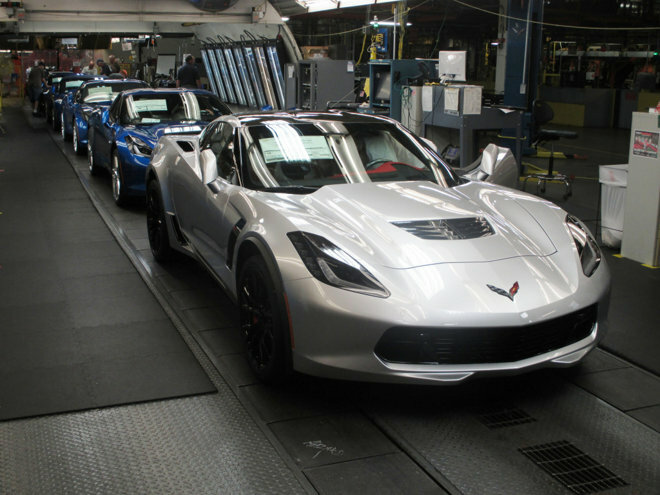 Official photos show a silver Z06 model rolling off a production line, reports to TechCrunch. The carmaker did not offer any more details, although in a May announcement it said that another product, the Cruze, would get CarPlay support as soon as June 24. In all 14 Chevy vehicles are due to get the technology during the 2016 model year. Other models include the Tahoe, Suburban, Volt, Spark, Malibu, Camaro, Silverado, and Impala. In general, only vehicle trims with a 7- or 8-inch MyLink display will have CarPlay support. Many cars will also get Android Auto compatibility, though initially limited to models with 7-inch displays. Support for 8-inch head unites is coming later in 2015. CarPlay support has so far been extremely limited in the auto industry as whole, even though Apple first launched the platform in March of last year. The only car on the road with the technology built-in is the Ferrari FF —something priced well beyond the means of most buyers. In the interim support has been largely limited to aftermarket receivers from Alpine and Pioneer. In March 2015 Apple said that CarPlay would come to 40 new car models by the end of the year. Several of those will belong to Cadillac, which earlier in June said that CarPlay would come to the "majority" of its 2016 model lineup.